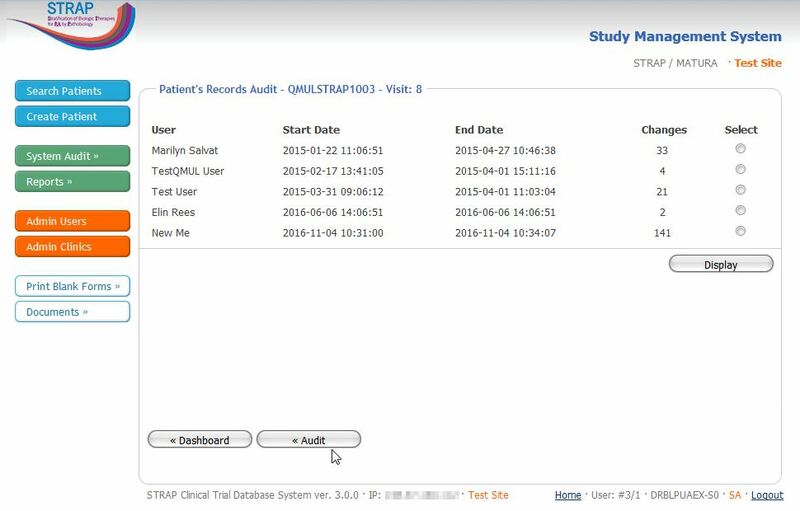 STRAP trial database is the third generation of Clinical Trials & Study database application built for EMR department, Queen Mary University London, by Web Clinica. This database is based on open source web responsive technology and utilises one of the best and most secure healthcare frameworks and eCRF form engines. Database is SQL based, robust and can cater for 10,000 simultaneous connections running on relatively small server footprints. 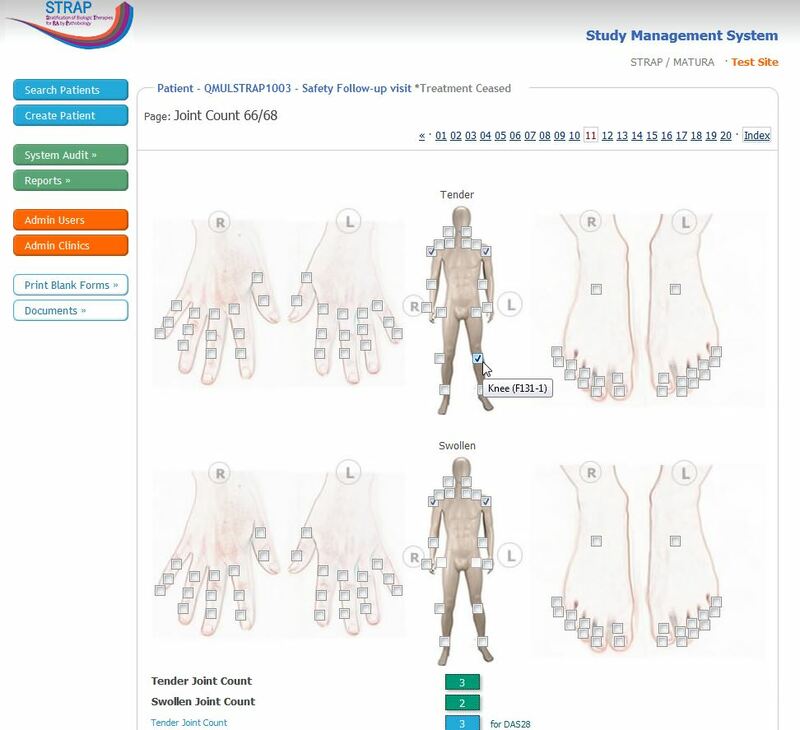 It is also specially customised for Rheumatoid Arthritis patients and consists of many features (dual factor authentication, audit tracking, data autosave, db support integrations and versioning etc.) that are very hard to find elsewhere. Platform is also boosting enhanced security and custom built data protection modules with encryption. 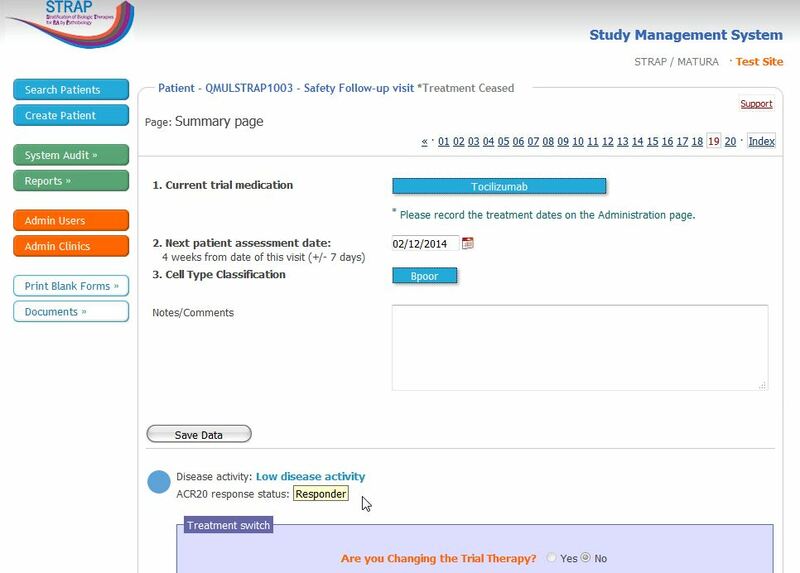 The STRAP web based database is a part of larger Clinical Trials databases family built by Web Clinica and is also constantly updated and improved.